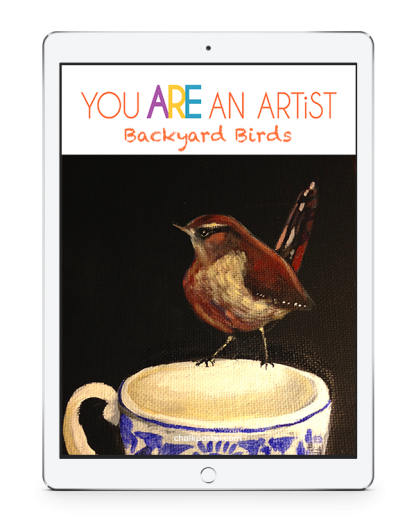 Backyard Birds Acrylic Video Art Lessons - You ARE an ARTiST! Did you also know you can enjoy acrylic paints for as little a cost as chalk pastels? Just like Nana’s chalk pastel art lessons there is no expensive, intimidating list of art supplies. Backyard Birds Acrylics Video Art Lessons is a wonderful stand alone art curriculum for all ages or a beautiful complement to your nature learning. 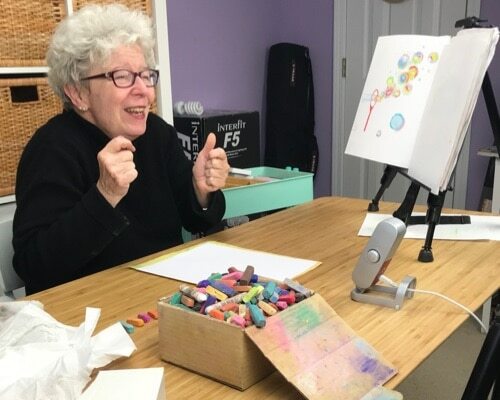 Also known as Nana, Lucia’s passion is to help you realize that you ARE an artist! Nana has always painted with acrylic paints. Did you know that she painted murals in the children’s wing of local hospitals, in local schools and more? 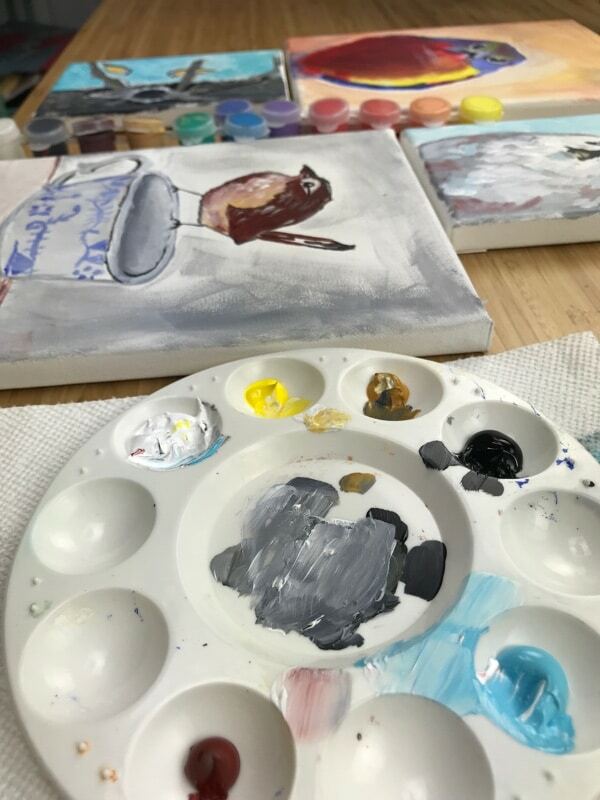 She continues to take art lessons herself — always learning! More on the teacher in Get Started in Chalk Pastel Art. Build a love of art!